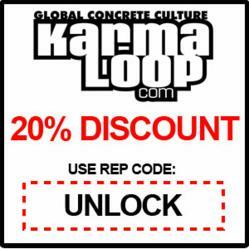 In time for spring break, global online retailer Karmaloop is offering 20% off coupon codes for all its urban wear labels. As thousands of college students and party goers head to sunny locales during this annual two-week break, Karmaloop makes its streetwear offerings available at ridiculously low prices. Shoppers can get a 20% discount on their entire order by using the Karmaloop Rep Code UNLOCK and 10% on the sister site PLNDR.com with plndr coupon codes. They also have the option to combine the Rep Code with karmaloop promo codes to enjoy additional savings. Karmaloop carries more than 150 brands in all streetwear categories. Tees, shorts, and skirts in crisp white or bright patterns are perfect for the season. Beach lovers can choose from a huge selection of tanks, halters, strapless tops, cover-ups, boardshorts, sandals, flip-flops, and swimwear. To top off those spring break outfits, Karmaloop offers some cool tote bags, wide-brimmed hats, and fashionable shades with UV protection. kl-coupon-codes.com is a place to get the best value coupons and save while shopping at Karmaloop.com. Karmaloop.com is a multi-platformed online retailer specializing in global urban fashion. The Karmaloop family of sites includes online retailer Karmaloop and Internet TV station KarmaloopTV. KarmaloopTV.com is an online channel covering global street culture. The site features exclusive interviews with designers, brands, artists, musicians and other influencers in the urban lifestyle.